1st row: K7, (P1,K1) x 3 times P1, K7. 2nd row: P7, (K1, P1) x 3 times K1, P7. 3rd row: P8, (K1, P1) twice, K1, P8. 4th row: P7, (K1, P1) x three times, K1, P7. 5th row: K7, (P1, K1) x three times, K1, P7. 6th row: K8, (P1, K1) twice, P1, K7. 7th row: K7, (P1, K1) x three times, P1, K7. 8th row: P7, (K1, P1) x three times, P1, K7. 9th row: Repeat 3rd row. 10th row: Repeat 4th row. 11th row: Repeat 5th row. 12th row: (K1, P1) x 3 times, K1, P7, (k1, P1) x three times K1. 13th row: (P1, K1) x 3 times, P1, K7, (P1, K1) x three times P1. 14th row: (K1, P1) x 3 times, K9, (P1, K1) x 3 times. 15th row: Repeat 13th row. 16th row: Repeat 12th row. 17th row: (P1, K1) x 3 times, P9, (K1, P1) x 3 times. 18th row: Repeat 12th row. 19th row: Repeat 13th row. 20th row: (K1, P1) x 3 times, K9, (P1, K1) x 3 times. 21st row: Repeat 19th row. 22nd row: Repeat 18th row. 1st row: K8, P1, K8. 2nd row: P8, K1, P8. 3rd row: K7, P3, K7. 4th row: P7, K3, P7. 5th row: K6, P5, K6. 6th row: P6, K5, P6. 7th row: K5, P8, K5. 8th row: P5, K8, P5. 9th row: K4, P9, K4. 10th row: P4, K9, P4. 11th row: K3, P11, K3. 12th row: P3, K11, P3. 13th row: K2, P13, K3. 14th row: P2, K13, P2. 15th row: K1, P7, K1, P7, K1. 16th row: P1, K7, p1, k7, pI. 17th row: P7, K3, P7. 18th row: K7, P3, K7. 19th row: K1, P5, K5, P5, K1. 20th row: P1, K5, P5, K5, P1. 21st row: K2, P3, K7, P3, K2. 1st row: K2, P2, K2, P2, K2, P2. 2nd row: K2, P2, K2, P2, K2, P2. 3rd row: P2, K2, P2, K2, P2, K2. 4th row. P2, K2, P2, K2, K2, P2. 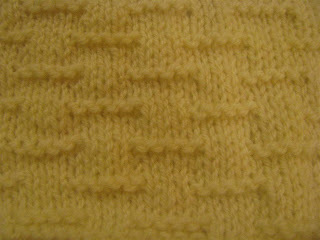 1st row: Knit all stitches. 2nd row: K5, P1, K5, P1, K5, P1. 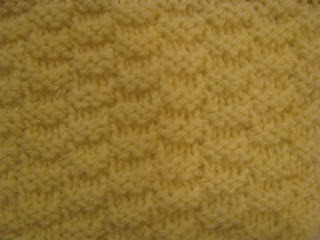 3rd row: Knit all stitches. 4th row: K5, P1, K5, P1, K5, P1. 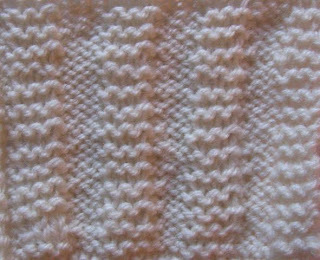 5th row: Knit all stitches. 6th row: K2, P1, K5, P1, K5, P1, K3. 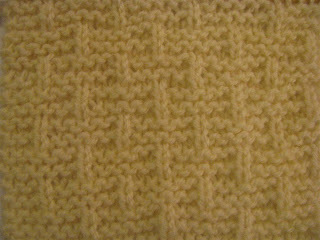 7th row: Knit all stitches. 8th row: K2, P1, K5, P1, K5, P1, K3. 1st row: K3, P3, K3, P3. 2nd row: K3, P3, K3, P3. 3rd row: P3, K3, P3, K3. 4th row: P3, K3, P3, K34th row: K5, P1, K5, P1, K5, P1. 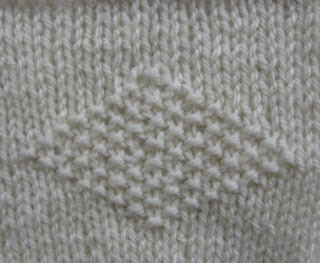 How to make Broken Stocking Stitch. 1st row: P1, K5, P1, K5, P1, K5. 2nd row: Purl all sts. 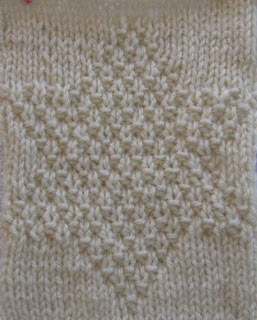 3rd row: Knit all sts. 4th row: Purl all sts. 5th row: K3, P1, K5, P1, K5, P1, K2. 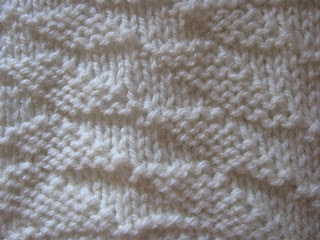 6th row: Purl all sts. 1st row: K3, P7, K3, P7. 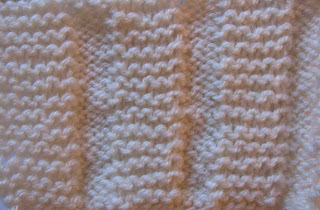 2nd row: Purl all stitches. 4th row: P6, K3, P1. 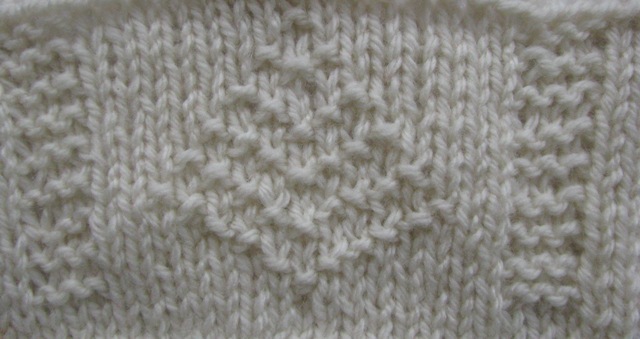 How to Knit an Interupted Stocking Stitch. 2nd row: P3, K5, P3, K5, P3, K5, P3. 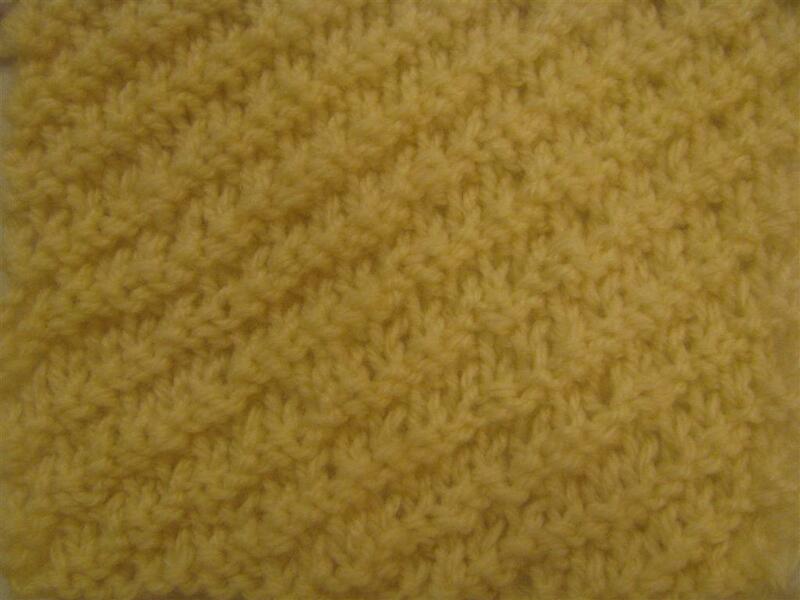 4th row: Purl all stitches. 6th row: K4, P3, K5, P3, K5, P3, K4. 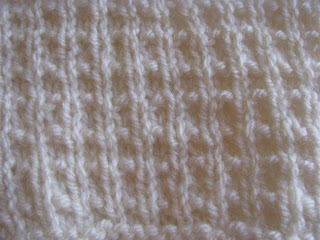 8th row: Purl all stitches. 1st row: P2, K2, P2, K2, P2, K2, P2, K2, P2, K2, P2, K2. 2nd row: K1, P2, K2, P2, K2, P2, K2, P2, K2, P2, K2, P2, K1. 3rd row: K2, P2, K2, P2, K2, P2, K2, P2, K2, P2, K2, P2. 5th row: P2, K2, P2, K2, P2, K2, P2, K2, P2, K2, P2, K2. 6th row: K1, P2, K2, P2, K2, P2, K2, P2, K2, P2, K2, P2, K1. 3rd row: P1, K1, P1, K1, P1, K1. 6th row: P1, K1, P1, K1, P1, K1. 2nd row: K7, P1, K7, P1. 4th row: K7, P1, K7, P1. 1st row: K1, P1, K1, P1. 2nd row: K1, P1, K1, P1. 3rd row: P1, K1, P1, K1, P1. 4th row: P1, K1, P1, K1. 2nd row: P1, K1, P1, K1. 3rd row: K1, P1, K1, P1. 1st row: P3. K5, P3, K5. 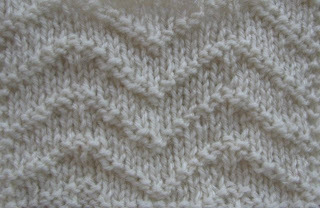 2nd row: Knit all these stitches. 3rd row: P3, K5, P3, K5. 3rd row: K3, P3, K3, P3. 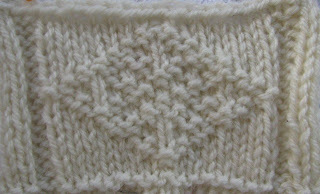 4th row: Knit all stitches. 1st row: P1, K5, P5, K5, P5, K4. 2nd row: P3, K5, P5, K5, P5, K2. 3rd row: P3, K5, P5, K5, P5, K2. 4th row: P1, K5, P5, K5, P5, K4. 5th row: P5, K5, P5, K5, P5. 6th row: P5, K5, P5, K5, P5. 7th row: P1, K5, P5, K5, P5, K4. 8th row: P3, K5, P5, K5, P5, K2. 9th row: P3, K5, P5, K5, P5, K2. 10th row: P1, K5, P5, K5, P5, K4. 1st row: K4, P2, K1, P2, K7, P2, K1, P2, K3. 2nd row: P4, K3, P4, K1, P4, K3, P4, K1. 3rd row: P2, K4, P1, K4, P3, K4, P1, K4, P1. 4th row: K2, P7, K2, P1, K2, P7, K2, P1. 5th row: K2, P2, K5, P2, K3, P2, K5, P2, K1. 6th row: P2, K2, P3, K2, P5, K2, P3, K2, P3. 1st row: K1, P3, K11, p3. 2nd row: P1, K3, P9, K3, P2. 3rd row: K3, p3, k7, p3, k2. 4th row: P3, K3, P5, K3, P4. 5th row: K5, P3, K3, P3, K4. 6th row: P5, K3, P1, K3, P6. 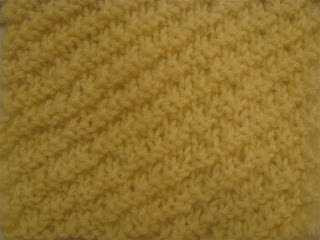 7th row: Purl all stitches. 8th row: K3, P11, K3, P1. 9th row: K2, P3, K9, P3, K1. 10th row: P2, K3, P7, K3, P3. 11th row: K4, P3, K5, P3, K3. 12th row: P4, K3, P3, K3, P5. 13th row: K6, P3, K1, P3, K5. 1st row: P1, K3, P1, K3, P1, K3, P1, K3. 2nd row: K1, P5, K1, P1, K1, P5, K1, P1. 3rd row: K2, P1, K3, P1, K3, P1, K3, P1, K1. 4th row: P2, K1, P1, K1, P5, K1, P1, K1, P3. 1st row: K3, P2, K15, P2, K3. 2nd row: P3, K2, P7, K1, P7, K2, P3. 3rd row: K3, P2, K6, P3, K6, P2, K3. 4th row: P3, K2, P5, K2, P1, K2, P5, K2, P3. 5th row: K3, P2, K4, P2, K3, P2, K4, P2, K3. 6th row: P3. K2, P3, K4, P1, K4, P3, K2, P3. 7th row: K3, P2, K2, P3, K1, P3, K1, P3, K2, P2, K3. 8th row: P3, K2, P1, K2, P1, K2, P1, K1, P1, K2, P1, K2, P1, K2, P3. 9th row: K3, P4, K3, P2, K1, P2, K3, P4, K3. 10th row: P3, K2, P1, K2, P1, K2, P1, K1, P1, K2, P1, K2, P1, K2, P3. 11th row: K3, P2, K2, P3, K1, P3, K1, P3, K2, P2, K3. 12th row: P3, K2, P3, K4, P1, K4, P3, K2, P3. 13th row: K3, P2, K4, P2, K3, P2, K3, P2, K3. 14th row: P3, K2, P5, K2, P1, K2, P5, K2, P3. 15th row: K3, P2, K6, P3, K6, P2, K3. 16th row: P3, K2, P7, K1, P7, K2, P3. 2nd row: P12, K1, P11. 3rd row: K10, P1, K1, P1, K11. 4th row: P10, K1, P1 twice K1, P9. 5th row: K8, P1, K1 three times, P1, K9. 6th row: P8, K1, P1 four times, K1, P7. 7th row: K6, P1, K1 five times, P1, K7. 8th row: P6, K1, P1 six times, K1, P5. 9th row: K4, P1, K1 seven times, P1, K5. 10th row: P6, K1, P1 six times, K1, P5. 11th row: K6, P1, K1 five times, P1, K7. 12th row: P8, K1, P1 four times, K1, P7. 13th row: K8, P1, K1 three times, P1, K9. 14th row: P10, K1, P1 twice, K1, P9. 15th row: K10, P1, K1, P1, K11. 1st row: K15, P1, K15. 2nd row: K3, P2, K3, P7, K1, P7, K3, P2, K3. 3rd row: K14, P1, K1, P1, K14. 4th row: K3, P2, K3, P5, K1, P3, K1, P5, K3, P2, K3. 5th row: K12, P1, K2, P1, K12. 6th row: K3, P2, K3, P3, K1, P2, K1, P1, K1, P2, K1, P3, K1, P3, K3, P2, K3. 7th row: K10, P1, K2, P1, K3, P1, K2, P1, K10. 8th row: K3, P2, K3, P4, K1, P2, K1, P2, K1, P4, K3, P2, K3. 9th row: K11, P1, K2, P1, K1, P1, K2, P1, K11. 10th row: K3, P2, K3, P5, K1, P3, K1, P5, K3, P2, K3. 11th row: Repeat 5th row . 12th row: Repeat 6th row. 13th row: K13, P1, K3, P1, K13. 14th row: Repeat 2nd row. 15th row: Repeat 3rd row. 16th row: K3, P2, K3, P15, K3, P2, K3. 17th row: Repeat 1st row. 18th row: K3, P2, K3, P15, K3, P2, K3. 1st row: K7, P2, K8. 2nd row: P6, K6, P5. 3rd row: K4, P2, K1, P2, K1, P2, K5. 4th row: P1, K1, P1, K3, P2, K2, P2, K3, P2. 5th row: P3, K4, P3, K4, P3. 6th row: K3, P4, K3, P4, K3. 7th row: P4, K3, P4, K3, P4. 8th row: P6, K1, P1, K2, P7. 9th row: K7, P4, K6. 10th row: P7, K3, P7. 11th row: K7, P2, K8. 12th row: P8, K2, P7. 13th row: K6, P3, K8. 14th row: P8, K4, P5. 15th row: K5, P1, K1, P2, K8. 16th row: P8, K2, P1, K1, P5. 17th row: K5, P4, K8. 18th row: P8, K3, P6. 19th row: K7, P3, K7. 20th row: P6, K4, P8. 21st row: Repeat 9th row. 22nd row: P7, K4, P6. 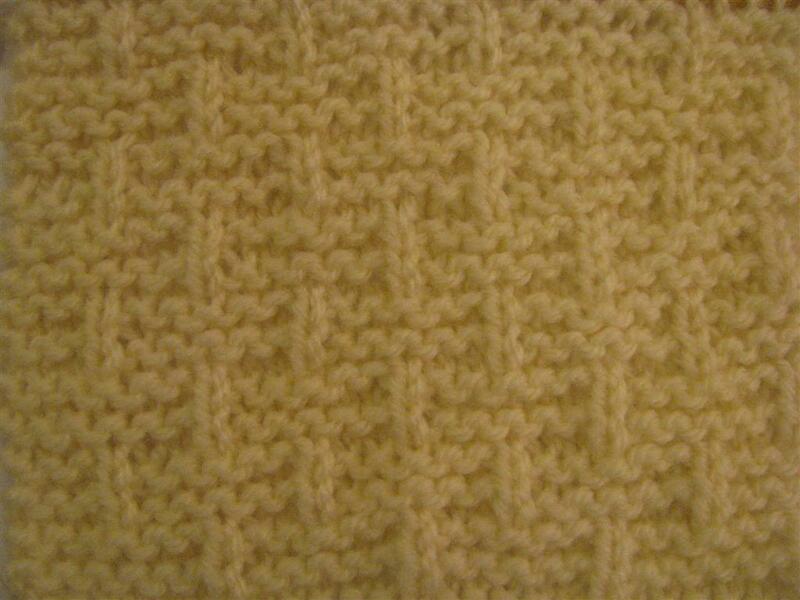 23rd row: K6, P4, K7. 24th row: P7, K1, P2, K1, P6. 25th row: K5, P2, K2, P2, K6. 27th row: K6, P1, K2, P1, K7. 28th row: P7, K4, P6. 1st row: K11, P1, K11. 2nd row: P11, K1, P11. 3rd row: K10, P1, K1, P1, K10. 4th row: P10, K1, P1, K1, P10. 5th row: K9, (P1, K1,) twice, P1, K9. 6th row: P9, (K1, P1,) twicw, K1, P9. 7th row: K8, (P1, K1,) three times, P1, K8. 8th row: P8, (K1, P1,) three times, K1, P8. 9th row: K7, (P1, K1,) four times, P1, K7. 10th row: P7, (K1, P1,) four times, K1, P7. 11th row: (P1, K1,) eleven times, K1. 12th row: (K1, P1,) eleven times, P1. 13th row: (K1, P1,) eleven times, K1. 14th row: (P1, K1,) eleven times, P1. 15th row: K2, (P1, K1,) nine times, P1, K2. 16th row: P2, (K1, P1,) nine times, K1, P2. 17th row: K3, (P1, K1,) eight times, P1, K3. 18th row: P3, ( K1, P1,) eight times, K1, P3. 19th row: K4, (P1, K1,) seven times, P1, K4. 20th row: P4, ( K1, P1,) seven times, K1, P4. 21st row: Repeat 17th row. 23rd row: Repeat 15th row. 25th row: Repeat 13th row. 26th row: Repeat 14th row. 27th row: Repeat 11th row. 28th row: Repeat 12th row. 29th row: Repeat 9th row. 30th row: Repeat 10th row. 31st row: Repeat 7th row. 32nd row: Repeat 8th row. 33rd row: Repeat 5th row. 34th row: Repeat 6th row. 35th row: Repeat 3rd row. 36th row: Repeat 4th row. 37th row: Repeat 1st row. 38th row: Repeat 2nd row. 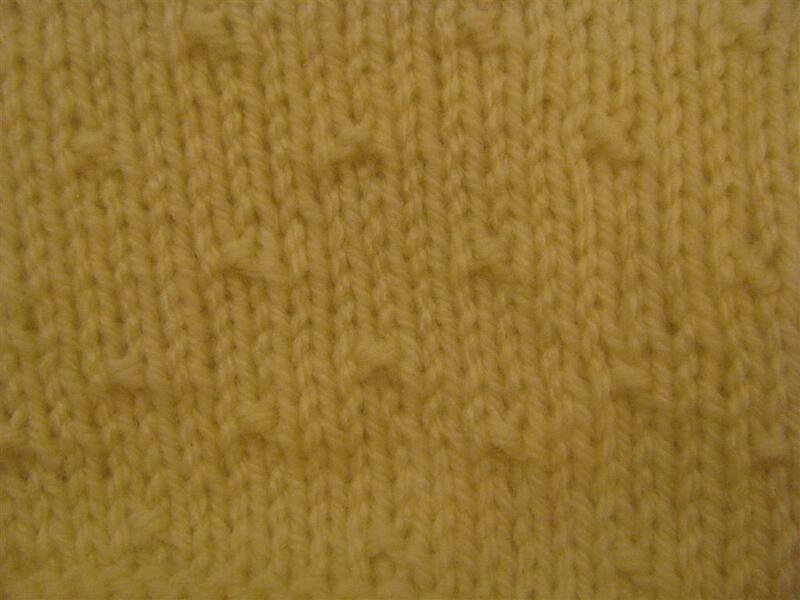 A knitted hem which results in a double layer of knitted fabric, helps the garment to hang and fall better. 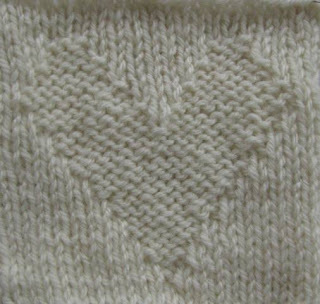 The knitted hem is usually knitted on a smaller size needle than the main needle used for the garment. 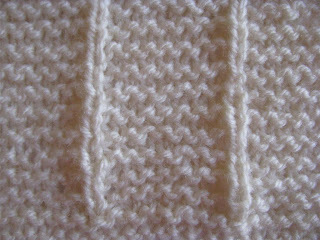 Beginning with a knit row, stocking stitch (knit one row, purl next row) the depth of hem required finishing on a knit row. 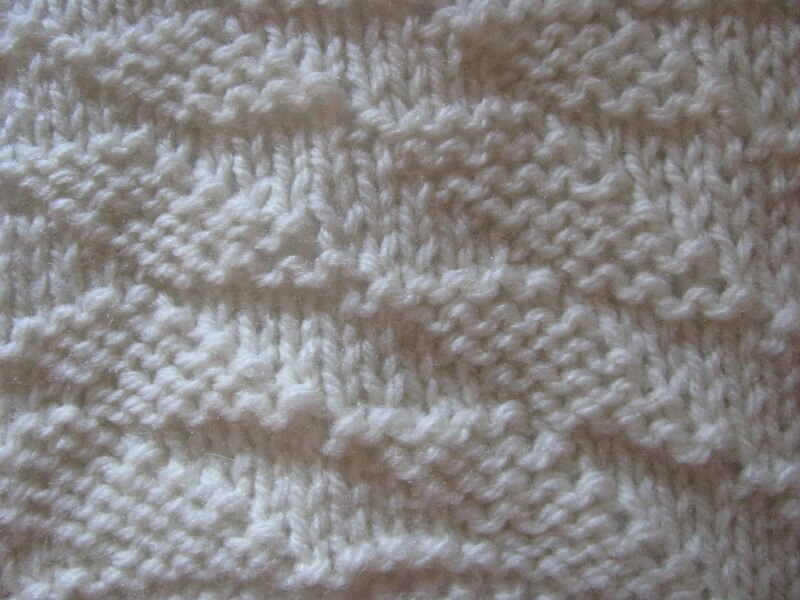 With a purl row facing, knit this row. 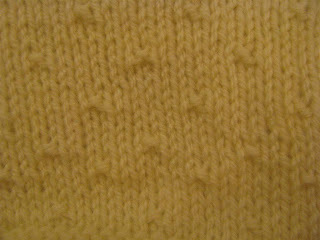 This row now makes a ridge on the right side of the garment giving the hemline. 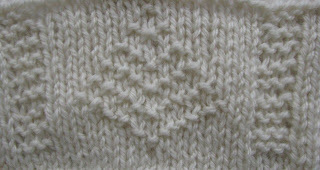 Change to the larger needles for the next row knit this row, then begin main pattern. When garment is finished turn the hem under to wrong side and sew in place. Crochet has its own language or shorthand for describing the different instructions. 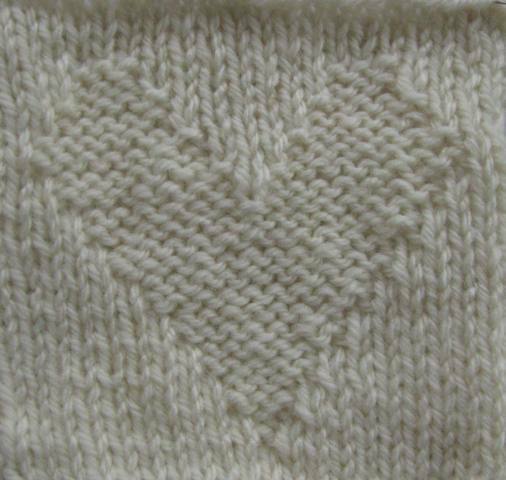 These abbreviations become more familiar and easy to follow as you knit more and more patterns. Here are a few. 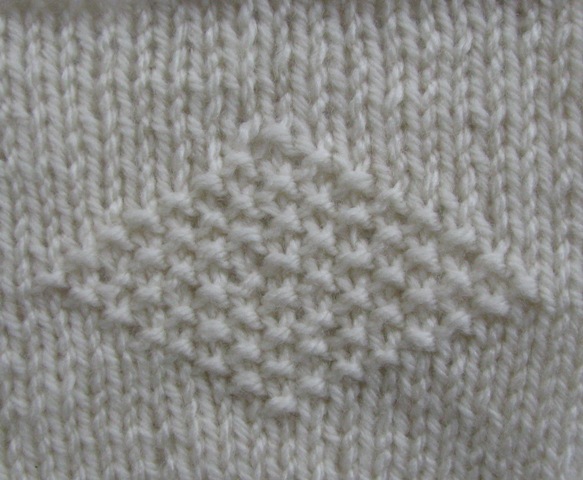 Knitting has its own language or shorthand for describing the different instructions. 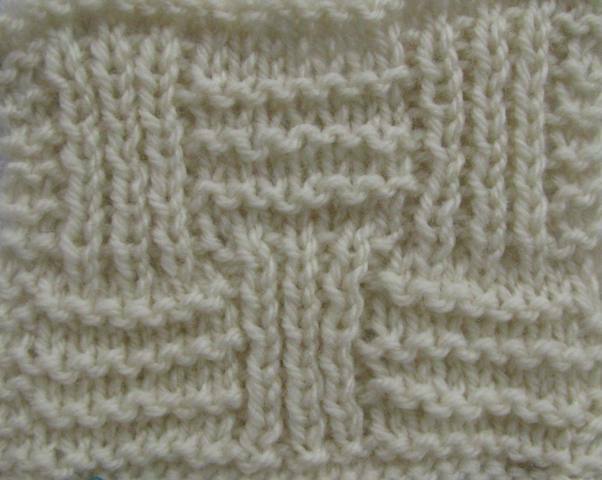 These abbreviations become more familiar and easy to follow as you knit more and more patterns. Here are a few. 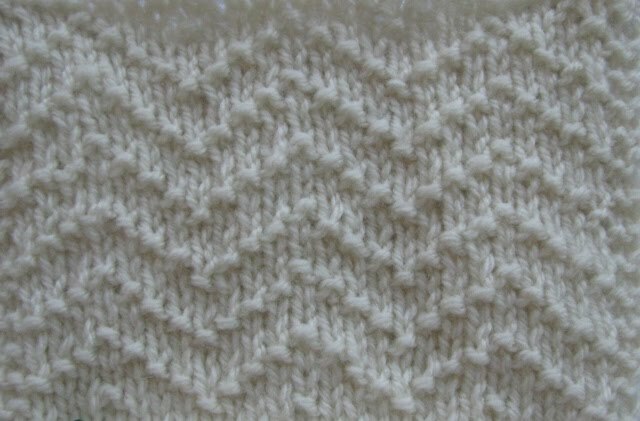 Explaining the importance of Knitting Tension. 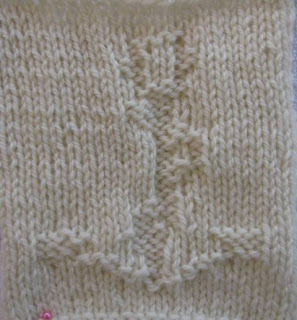 Tension is the most important aspect of knitting. To get the right tension when knitting ensures a garment that is finished to the size required, and in the long term, less ripping and frustration. Understanding tension is the answer to successful knitting and obtaining the correct width. Knitting is a relaxing, rewarding and enjoyable hobby not a stressful, frustrating task where one hopes with a wing and a prayer the garment fits! Remember you are in charge of the finished product and getting the size right is very simple. 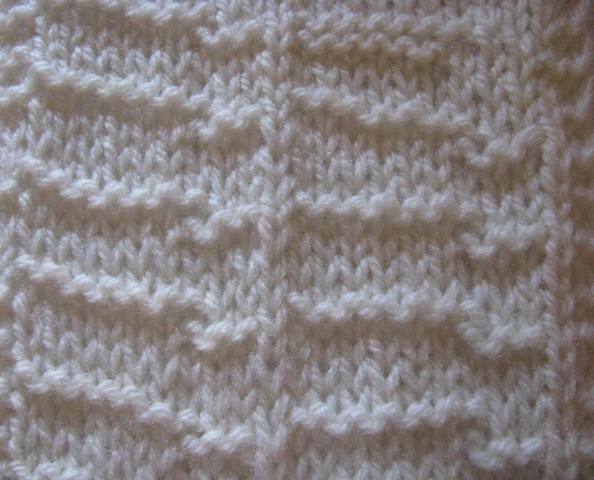 Also note that no two people will knit the same, both will have different tensions. 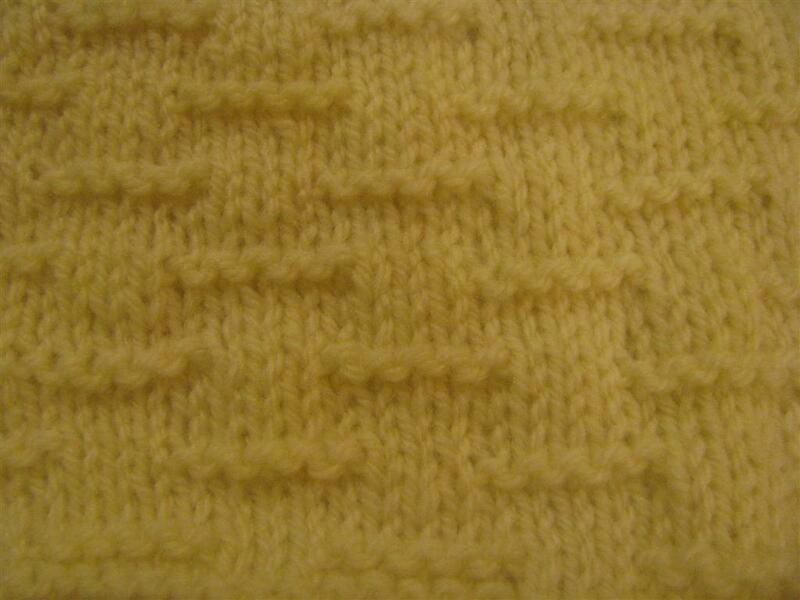 This is the reason why it is never a good idea to have someone else finish knitting something you have started. Most patterns give a tension square with the number of stitches and quantity of rows equaling a measurement. 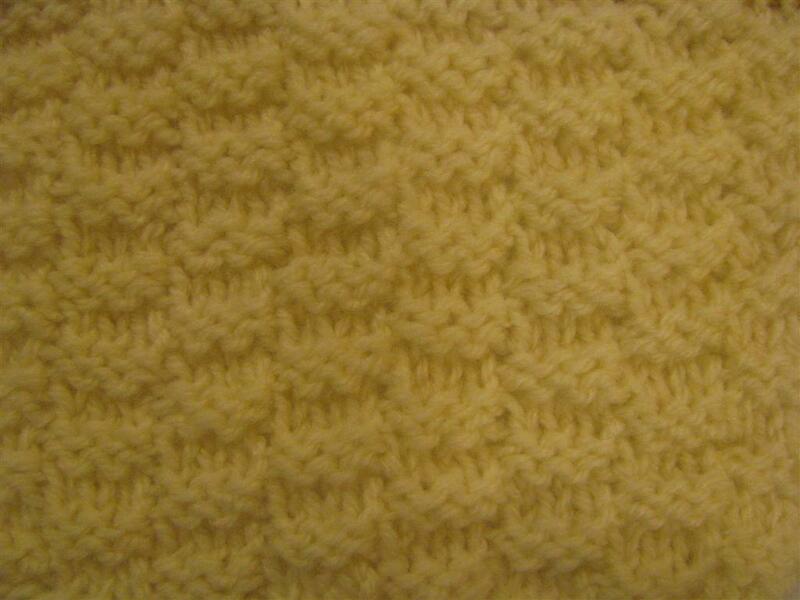 For example: 22sts x 14rows = 10cm (4ins). This is the designers tension and the pattern is based on this.To get the exact finished size garment, the tension square the designer is working in must be achieved. 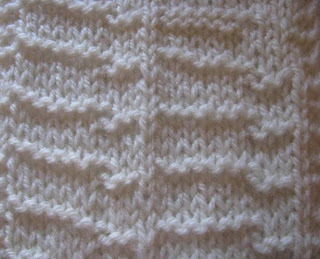 One or two stitches more or less than the tension square can mean a big size difference. 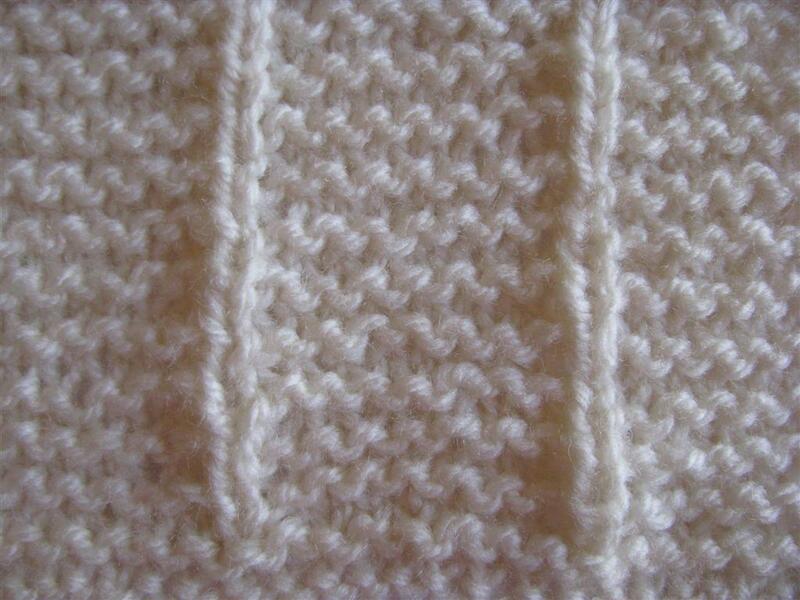 If you obtain the right stitch tension and the rows are more or less, then ignore the difference and continue on. If the tension square measures less than the required width, try a larger size needle. If the tension square measures bigger than the required width try a smaller needle. 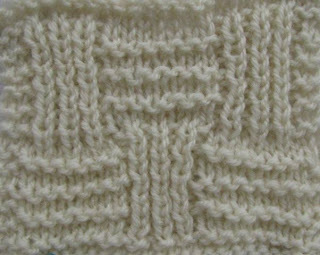 Substituting different yarns instead of using the suggested yarn and getting the correct results is possible only if the proper tension square is used. 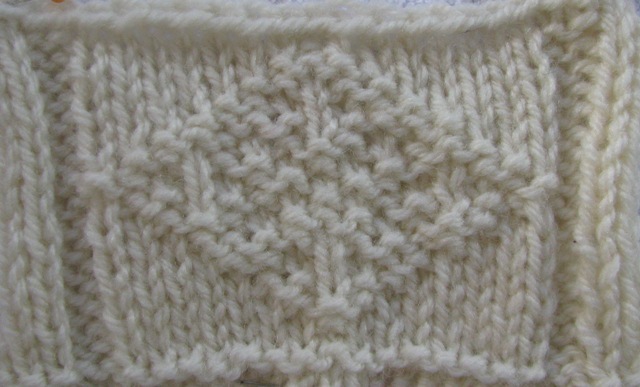 In most cases if the same ply of yarn is used the tension square will be the same.